Prime Minister Justin Trudeau is digging in his heels over a decision to limit the waiver permitting Jody Wilson-Raybould to speak out on the SNC-Lavalin affair as the Commons ethics committee prepares to debate a second parliamentary investigation of the scandal. Prime Minister Justin Trudeau is digging in his heels over a decision to limit the waiver permitting Jody Wilson-Raybould to speak out on the SNC-Lavalin affair, just as the Commons ethics committee prepares to debate a second parliamentary probe of the scandal. With his government still reeling from allegations that top PMO and other government officials inappropriately pressured the former attorney general to intervene in the Montreal-based engineering firm's criminal prosecution, Trudeau revealed today he spoke with Wilson-Raybould last Monday and described the conversation as "cordial." Several Liberal MPs have urged Wilson-Raybould to clear the air, insisting she is covered by parliamentary privilege and can say what she wants in the House of Commons. Today, Trudeau would not offer an opinion on what the former ministers should do, but made it clear he has no plans to broaden the waiver he granted Wilson-Raybould to speak on the matter. "These are obviously decisions to be made by the individuals in question," Trudeau said during an event in Maple Ridge, B.C. "What we have done as a government is grant an unprecedented waiver so that a full airing can happen at the justice committee ... everything in regards to the SNC-Lavalin file and the time that is in question ... when the former minister of justice was indeed minister of justice." Trudeau noted that both Wilson-Raybould and Jane Philpott — who resigned as Treasury Board president earlier this month saying she had lost confidence in the government's handling the SNC-Lavalin matter — plan to seek re-election as Liberal candidates. He described them as "strong and thoughtful voices" in the caucus. The PMO told CBC News that Trudeau reached out to Wilson-Raybould last week to advise her of the next steps he intended to take, before she could learn of the developments through the media. A week ago, Michael Wernick resigned as clerk of the Privy Council — after delivering a public defence of the government's actions on the SNC Lavalin file that was widely attacked as partisan — and Trudeau appointed former Liberal minister Anne McLellan to advise the government on the idea of separating the justice and attorney general portfolios. The Commons ethics committee meets Tuesday to discuss a possible probe into the SNC-Lavalin affair. Wilson-Raybould has said she believes she was demoted to Veterans Affairs for refusing to pursue a deferred prosecution agreement (DPA) for SNC-Lavalin that would have halted its criminal prosecution on bribery charges related to contracts in Libya. Trudeau has denied her claims. Liberals on the Commons justice committee shut down a probe into the SNC-Lavalin affair last week without calling Wilson-Raybould back to testify for a second time, prompting the Conservatives to stage a 31-hour voting marathon in the House of Commons in protest. The Liberals also hold a majority on the ethics committee and can vote to block both the inquiry and testimony from individual witnesses. Conservative Leader Andrew Scheer today called on the Liberals to stand back and let the ethics committee look into Wilson-Raybould's allegations. "For weeks now, Justin Trudeau's excuses have been debunked," he said. "He has said he has nothing to hide, but every opportunity he has to shed a light on the full story, he shuts down investigations and he perpetuates the coverup." 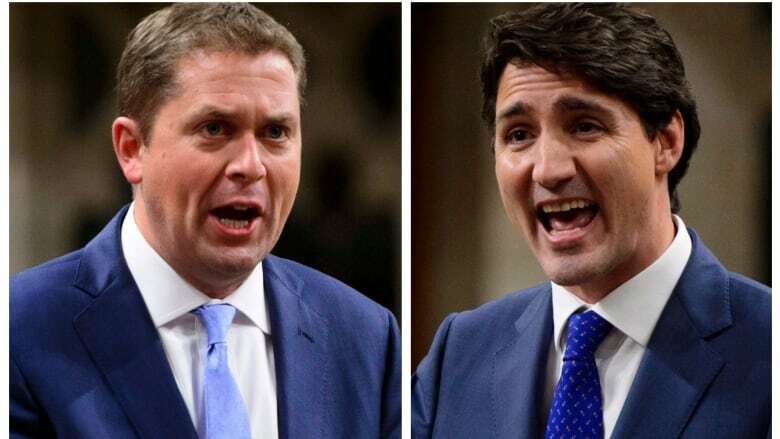 Scheer accused Trudeau of orchestrating his MPs in a coordinated communications scheme making the argument that Wilson-Raybould and Philpott could simply tell their stories in the House of Commons. While parliamentary privilege absolves MPs of legal penalties for statements made in Parliament, it does not free them from the solemn oath they take when they're sworn into cabinet, Scheer said. "If Justin Trudeau truly has nothing to hide, if now he's sending out his MPs to say they can get up and speak, then he should make it official. Waive the cabinet confidences and allow them to fully explain the events that surrounded this corruption," he said. Wilson-Raybould told the justice committee Friday that she will provide texts, emails and a written submission with more details on the SNC-Lavalin matter, since she will not be invited back to testify. It's not known when she intends to make the submission. SNC-Lavalin issued a "clarification statement" today in response to statements it says have created "incorrect impressions" of recent interviews with CEO Neil Bruce about the job losses that might follow a conviction on bribery and fraud charges. "To clarify, Mr. Bruce indeed stated the government of Canada was never threatened by SNC-Lavalin, however, the company had made it very clear to the government through its advocacy campaign that the implementation of a remediation agreement (RA) — also known as a deferred prosecution agreement (DPA) — was the best way to protect and grow the almost 9,000 direct Canadian SNC-Lavalin jobs, as well as thousands of indirect jobs through its more than 5,000 suppliers across Canada," the statement reads. "The company still asserts this position." During media interviews last week, Bruce said that many of the employees who could be thrown out of work in the absence of a DPA would find work elsewhere. Some media headlines suggested that he meant by that statement to suggest the company never warned Ottawa about massive job losses following a conviction. The Conservatives seized on the reports, suggesting there was no reason for the Liberal government to doggedly pursue a remediation agreement for the company to avoid massive job losses. Scheer said today that Trudeau's "excuse" has been "widely and thoroughly debunked" by the CEO of SNC-Lavalin himself. Today's company statement says SNC-Lavalin still believes a remediation agreement is the best tool to protect thousands of direct and indirect jobs. "If the remediation agreement is not available to SNC-Lavalin, the company will continue to vigorously pursue a path that allows it to move forward and defend its innocent employees to the fullest as it moves forward through the Canadian court system," it reads.